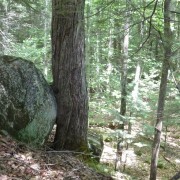 HANOVER, NHâ€”Upper Valley Land Trust will host Emily Brunkhurst of New Hampshireâ€™s Fish and Game Department for a presentation entitled â€œEnhancing Small Scale Habitats: Grasslands, Shrublands, and Vernal Pools.â€ The event will be held on June 22nd at 7pm at the Richard Black Center on Lebanon Street in Hanover. As Emily Brunkhurst will explain on June 22, vernal pools are wetland depressions identifiable by their relatively small size, physical isolation, and alternation between periods of flooding and drying. Loss of large quantities of vernal pool habitat can lead to local extinction of vernal pool-dependent species, for example: fairy shrimp, wood frog, spotted salamander, blue-spotted salamander, Jefferson salamander, and the state endangered marbled salamander. A database of vernal pool locations in the State is currently under development. Other critical habitats currently under threat are grasslands. Grasslands are dominated by grasses, wildflowers, and sedgesâ€”with little shrub or tree cover. This includes hayfields, pastures and other grassy spaces such as capped landfills. Grasslands in New Hampshire must be mown to prevent them from becoming shrublands or forests, however, the mowing must be done in ways and at times so as to not harm or disturb the wildlife during critical breeding periods. This type of habitat is home to the Northern leopard frog, smooth green snake, Northern harrier, upland sandpiper, Eastern meadowlark, horned lark, purple martin, vesper sparrow, Henslow’s sparrow, and the grasshopper sparrow, among others. 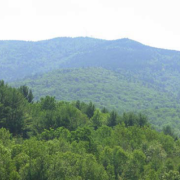 Only 8% of New Hampshire grasslands are protected by conservation easements. As grasslands grow into shrublands, they provide habitat for a whole new suite of species. At the June 22nd presentation, New Hampshire Fish and Game’s Emily Brunkhurst will explain ways of identifying these habitats, as well as ways of maintaining and enhancing them through management practices and the maintenance of buffers. This event is free and open to the public. To register in advance, contact Nora at (603) 643-6626 ext. 102, or noradoyle-burr@uvlt.org.